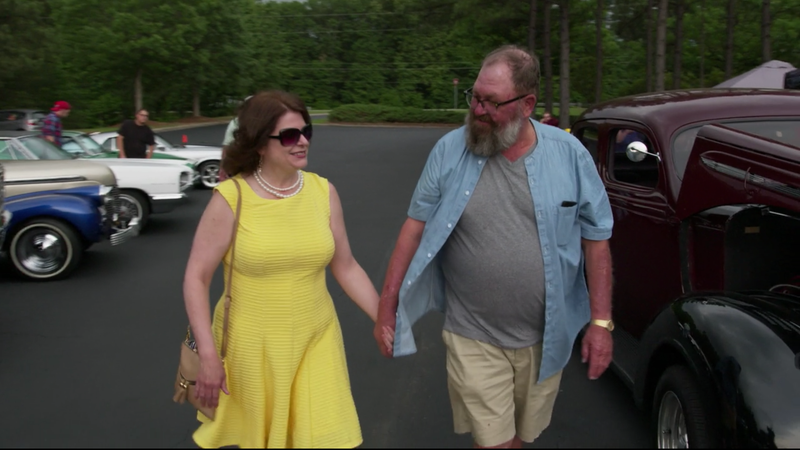 Queer Eye's Redneck Margarita Guy Is Engaged to His Ex, But Is It All Just a Publicity Stunt? In an exclusive interview with Us Weekly, Queer Eye Season 1/Episode 1 stars Tom Jackson (the redneck margarita guy) and Abby [NO LAST NAME GIVEN] (his on-again/off-again girlfriend) dished on their engagement, saying that it all went down at a “quiet dinner,” and that Jackson let Abby pick her engagement ring. Progressive! Take Tom’s original announcement tweet, for example. It’s a cute picture of Abby showing off her ring in that classic left-hand-on-stomach pose, but take a closer look at the caption. You may have stopped reading after the first sentence, what with all the “YAAAS” screaming, but Jackson writes, “What a Netflix special the [sic] would be. If the Fab 5 planned and attended our wedding!!!!!!! !” Do we think this is just Tom trying to Secret his way into making a big event happen, or does he know something we don’t? But that’s just a silly conspiracy theory. At the end of the day, this is objectively good news—even if Netflix drops a trailer for ALL THINGS JUST KEEP GETTING MARRIED: TOM AND ABBY’S QUEER EYE WEDDING SPECIAL in a month. Tom and Abby are happy, and that makes me happy. It also makes me crave Mountain Dew.